An unassuming cast–iron Japanese teapot inspired this chest of drawers. The teapot rests cozily in the central cubby, while small teacups perch overhead in smaller ones. Drawers below hold necessary accoutrements, including tins of your favorite tea, utensils, and small towels. 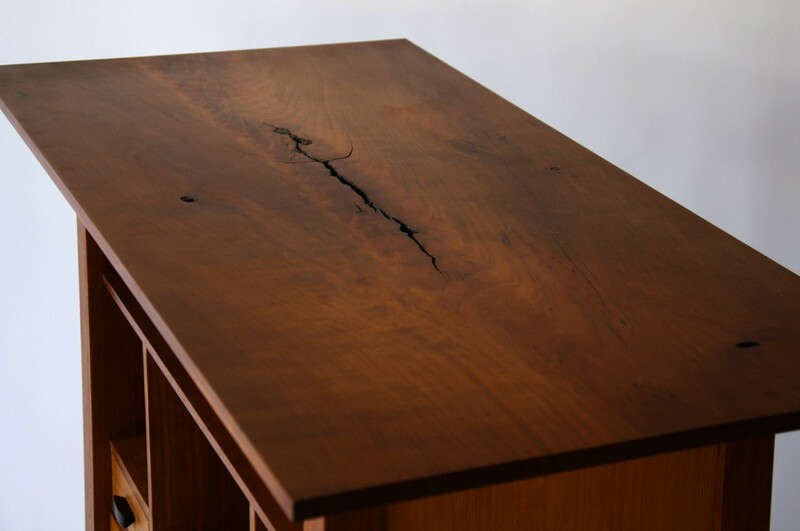 The top is a solid slab of cherry, sliced where two branches flowed together, creating supple undulations of grain. The drama of their meeting is reflected in the dark crack running along the center of the piece. It is featured rather than hidden, in the hope that its unabashed naturalness accords with the spirit of tea. 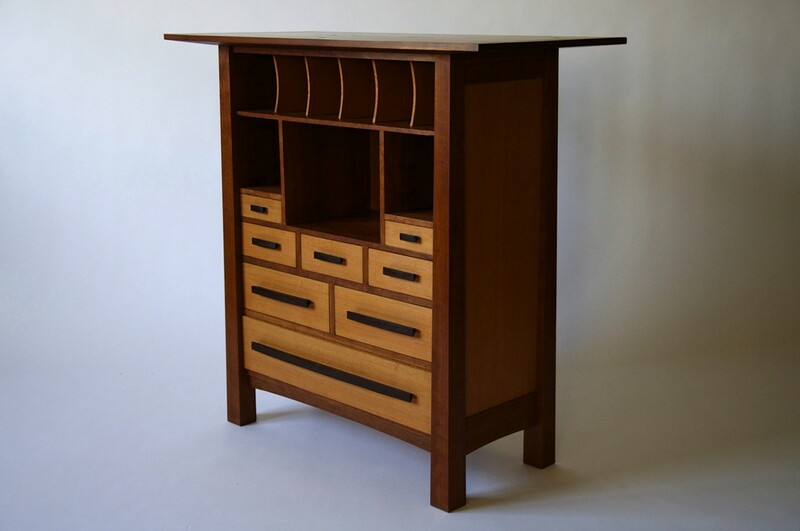 As the goal was to create a balanced, calming form, the rest of the piece is crafted from quartersawn cherry and vertical grain fir, resulting in clean, simple lines throughout. The side and back panels are sawn from the same board and bookmatched to further this effect. 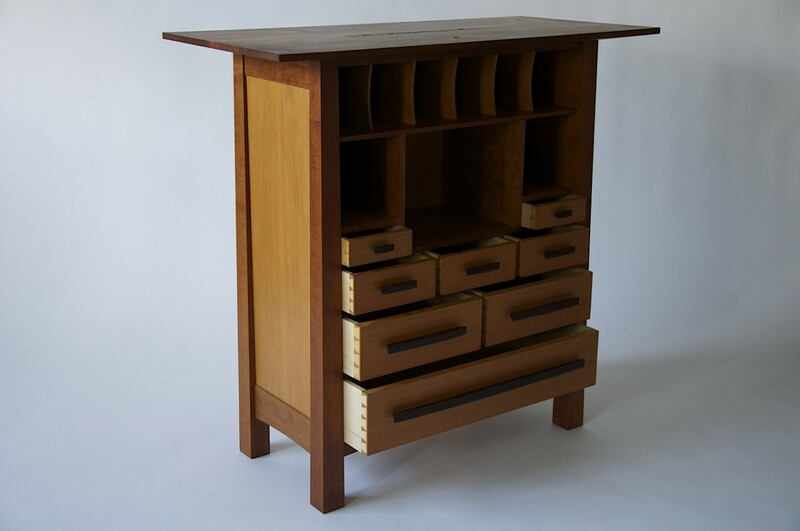 Drawers are dovetailed front and back. 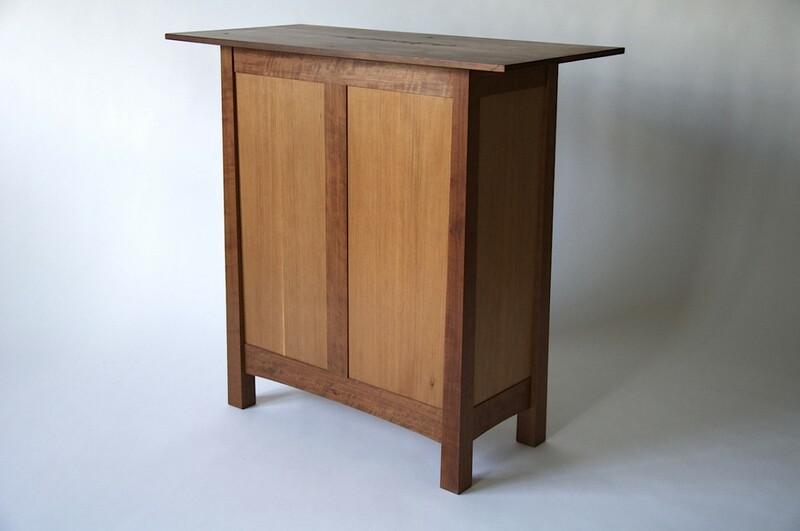 The dovetails follow a progression in size and number relative to the height of the drawer. The drawer sides and bottoms are made from solid quartersawn maple, which reduces wood movement and ensures smooth operation year-round. 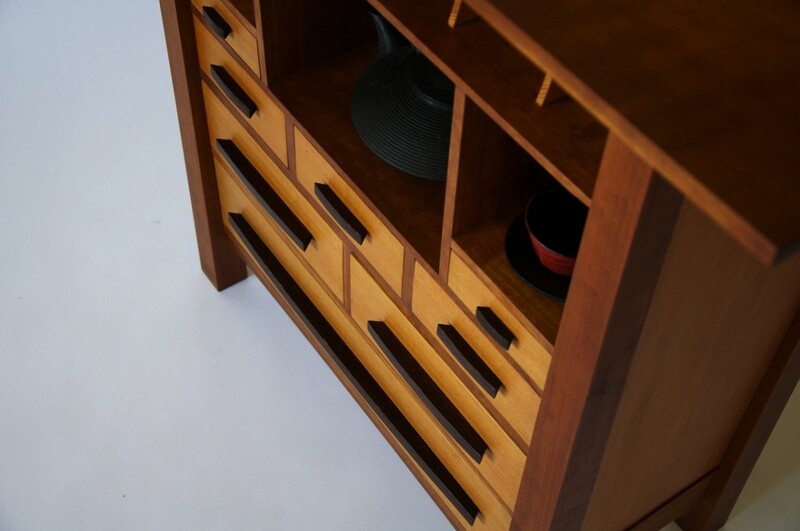 The drawers are kept flush with the front of the cabinet by means of integral drawer stops. The dark pulls are hand-shaped from wenge. Dust panels—a mark of thorough craftsmanship and design—are fitted between each level of drawers, and keep the contents clean and separated.